Today April 8th, is National Dog Fighting Awareness Day. Dog fighting is alive in the U.S. in many different communities despite that fact that it is illegal. Help us to end this cruel blood sport. According to the ASPCA their are 10 ways you can help. Pit Bull type dogs are one of the most commonly abused breeds associated with dog fighting and have suffered much as a whole population thanks to the actions of a few sadistic people. The once loved nanny dog known for their non-aggression towards humans has been badly smeared by the media and now is currently suffering from Breed Specific Legislation where they are banned in certain areas. Due to their reputation as "fighting dogs" and the myth that they are all aggressive these dogs attract some of the worst owners - people who want a dog that looks tough, or mean, looking for a protection dog, or a property dog. It's important to understand that the cases you read about in the news are designed around selling news and creating sensation. If a chihuahua bites someone it won't make waves, but a "pit bull" can spark outrage and hate. The truth is that ANY dog can bite, but NO dog bites without a reason. Bad owners, lack of socialization, and abuse can create behavioral problems and ultimately lead to a bite. 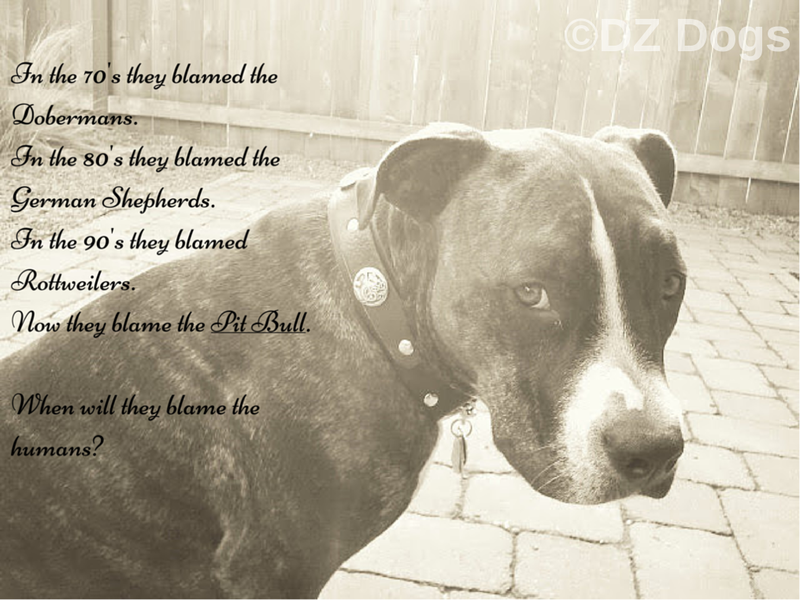 This is true for ANY breed not just "pit bulls". Dog fighting is a felony in all 50 states. Dogs that fight are trained to never give up - even if they are seriously injured or killed. Trainers use "bait" - dogs that won't fight back, cats, and other small animals to train their dogs. 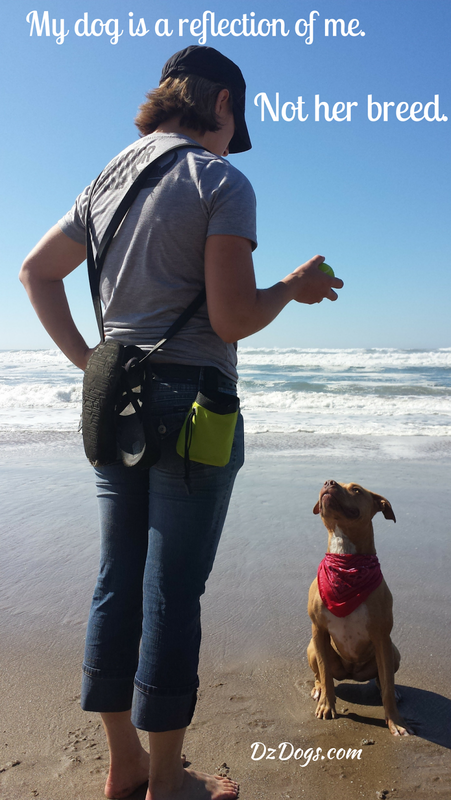 Participants in dog fighting come from all walks of life with different backgrounds. From teachers, law enforcement, sports celebrities, judges, and other community leaders. Fights can take place anywhere: playgrounds, backyards, large parks, even street corners. 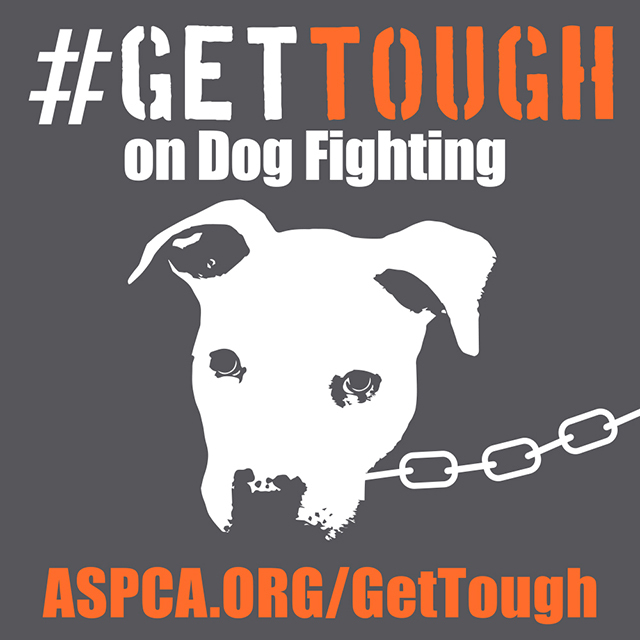 Fighting dogs can be beaten, starved and/or given drugs to encourage aggressive behaviors. Losing dogs are often executed in a brutal fashion as part of the fight's "entertainment". Dogs are wonderful and loving creatures, no animal should be put through the experience of fighting. Please report animal abuse and any suspected fighting to your local law enforcement. Not reporting abuse or fighting is just as bad as being personally involved. Dogs Can Change - Rescued Dog Fighting Victims Are Not Broken. With patience, love and training - so long as their is no serious medical issues involved rescue dogs can be healed and find successful loving forever homes. A big and recent public example is the Vicktory Dogs rescued from Michael Vicks dog fighting ring in 2007. Of the 50 dogs seized from Vicks fighting ring, one was euthanized for dangerous aggression. 22 of the most problematic dogs were taken in by Best Friends Rescue for long term rehabilitation or court ordered permanent Sanctuary placement. The rest of the dogs went to regional and national pit bull rescue groups to be placed up for adoption. As of 2014, 12 of the 22 Best Friends rehab dogs had been adopted in total, some with other dogs, children, and even a cat. More on the Vicktory Dogs HERE. Be a Breed Ambassador! What does it take to be a good breed ambassador? History of the American Pit Bull Terrier. Dog fighting is horrible enough, but I can't imagine someone stealing your dog to be used as a bait dog. Thanks for helping to raise awareness. I would love for all involved to be held responsible and punished to the furthest extent. We need harsher laws. Wonderfully written post. I have felt super proud to be a part of this pet blogging community today. So many have reminded thousands to #GetTough about this deplorable way to treat dogs. Thank you for heightening our awareness today. Together we can make a difference. Thank you for this educational post, and getting the word out about #GetTough. We hate dog fighting! It is totally wrong on every facet and we believe those attending should be arrested during a raid along with those holding the fight. Our pack sure is getting tough about dog fighting & spoke out about it! You put together a wonderful post ~ and I also wonder when society will FINALLY blame the humans instead of a particular breed. Thanks for the support! I love how bsl is slowly being removed across the US! Adopting or Fostering a New Dog.